I’ve just done a couple of rough calculations on how much the Pennine Way is likely to cost me. I’ve already decided it’s going to be along the lines of my previous long distance walks – that is B&B all the way and baggage courier to ease the strain and allow for the little luxuries in the evening. If I do it that way it’s going to cost me about…. wait for it…. £1300!!! Baggage courier for the Pennine Way (those that do the whole route and not just part of it like Sherpa) are running at approximately £300 for the route. £646 + £360 + £300 = £1300 (and that assumes I can get a lift to and from the walk). The C2C last year didn’t cost anything like that much – at least I don’t think it did. For that money I could have a week in Vegas with some spending money – and go walking in the Grand Canyon! But then I would miss out on the chance to get blown about all over the Pennines and potentially get rained on for 17 days straight! What a choice. Oh God, I hope the wife doesn’t read this one. The accommodation bookings are all made now and the final costs have come out as follows.. The 17 nights accommodation should cost £556 in total. That’s an average nightly cost of £32.70, which as a solo walker having to pay for single person occupancy isn’t too bad I don’t think. 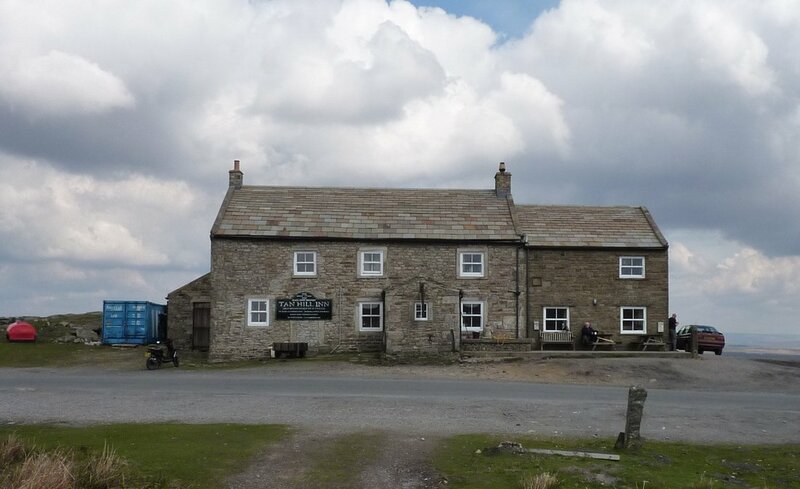 The most expensive night was £45 and I pay that twice; once in Hebden Bridge and again at the Border Hotel on the last night, in Kirk Yetholm. The cheapest bed was £15 in the Greenhead Hostel. The only other alternative in Greenhead is the Hotel and that was going to be £60 for a single occupancy double room. I’ll rough it for a night in the hostel for the sake of £45 though. I’m also staying the night in Once Brewed Hostel – just 8 miles along the track from Greenhead and this bed is only £15.95.